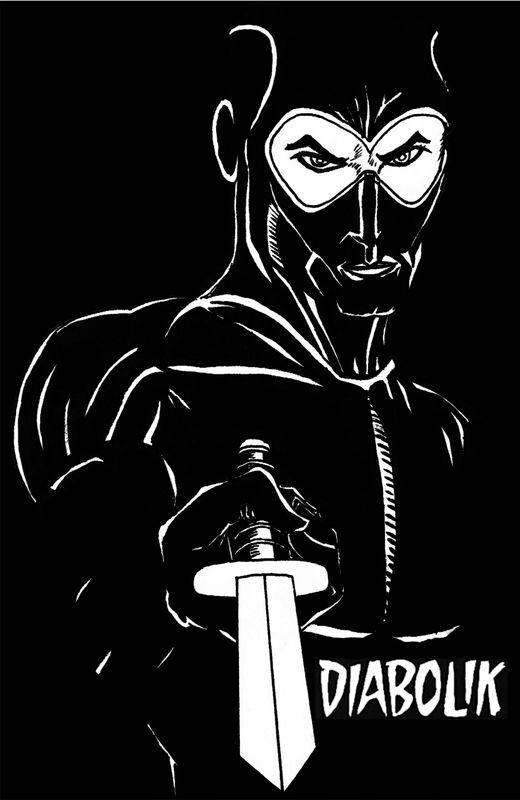 Diabolik is probably the most famous Italian comic book character, recognisable by his skin-tight jumpsuit, piercing blue eyes and thick menacing eyebrows. Created by sisters Angela and Luciana Giussani in 1962 amongst the ‘spies and secret agents’ era in the 60s and 70s, Diabolik is an expert thief who steals from the upper class and the government with his partner Eva Kant. He has constant run-ins with Inspector Ginko who – one day – hopes to arrest them. The lines are drawn clearly and cleanly in an outline style with little shading, making the comic books easy to follow, probably influenced by Hergé who pioneered the Ligne Claire style when illustrating Tintin. Although I haven’t seen any English translations of Diabolik comics, I have been inspired by the artwork and own a few books from ebay. It’s frustrating when most Italian comic book websites don’t ship to the UK. This entry was tagged Angela Giussani, Diabolik, Eva Kant, Hergé, Inspector Ginko, Ligne Claire, Luciana Giussani, Tintin. Bookmark the permalink. I usually use Google Chrome to view it, so I would never know otherwise.